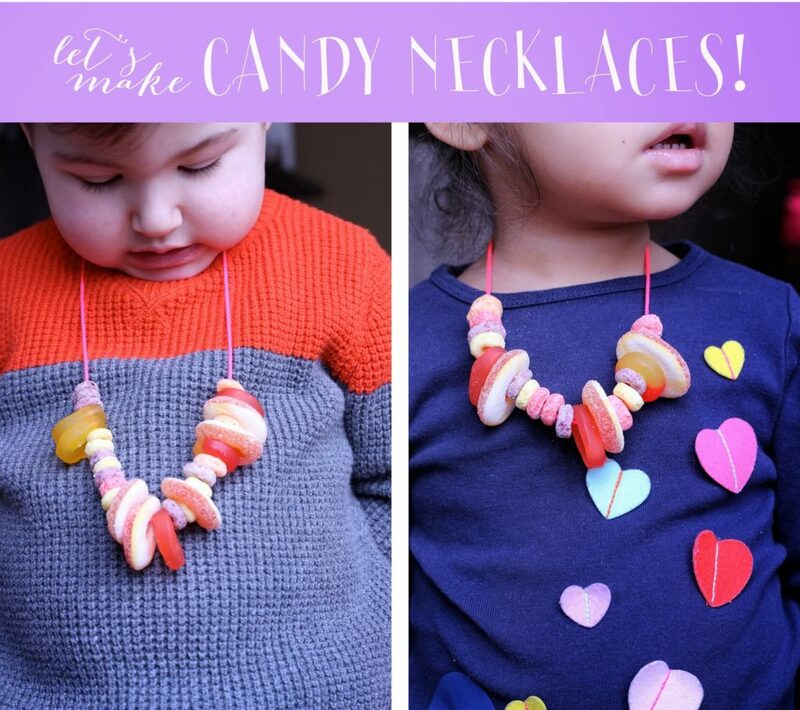 Ari and Amara looooved this Valentine’s Day candy necklace project! 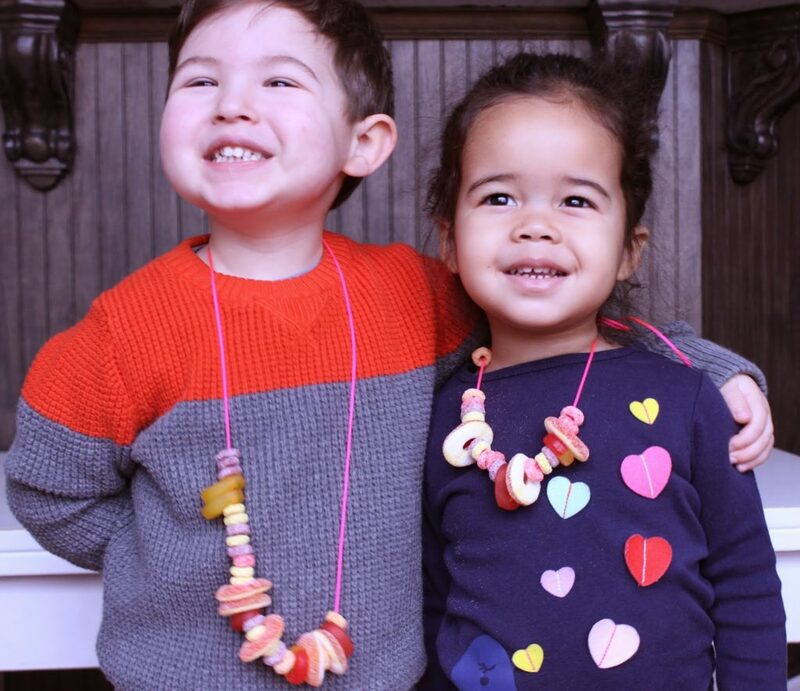 They both got into it and surprisingly only ate the treats after their necklaces were finished. 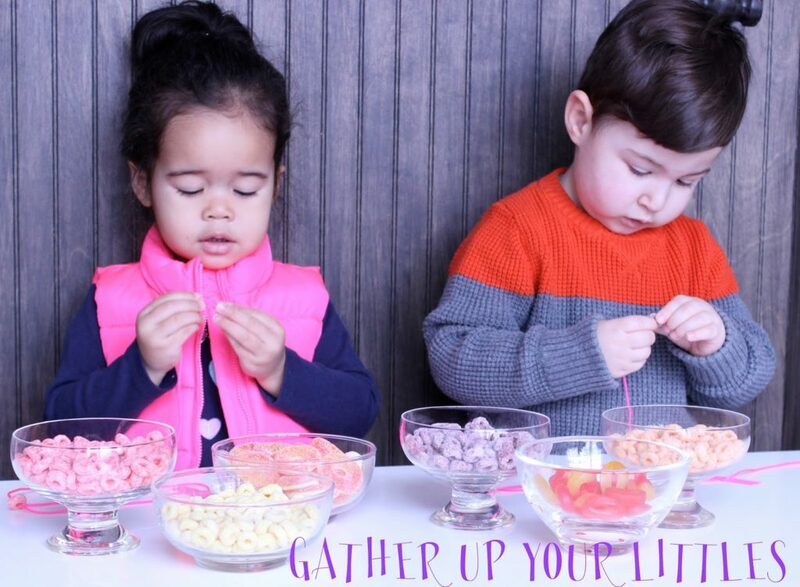 We loved how hard the kids concentrated stringing on the cereal and candy. 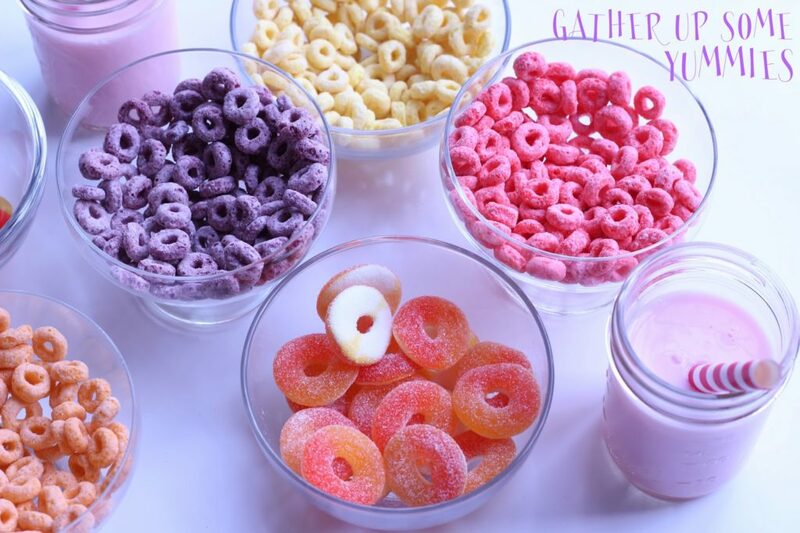 This is a great play date activity – fine motor skills trump sugar, right? 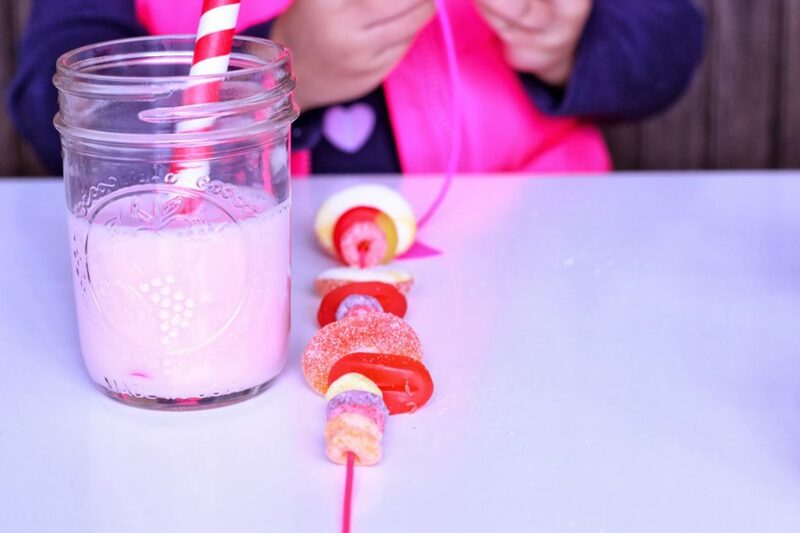 Candy necklaces taste best served with pink strawberry milk. Have fun! 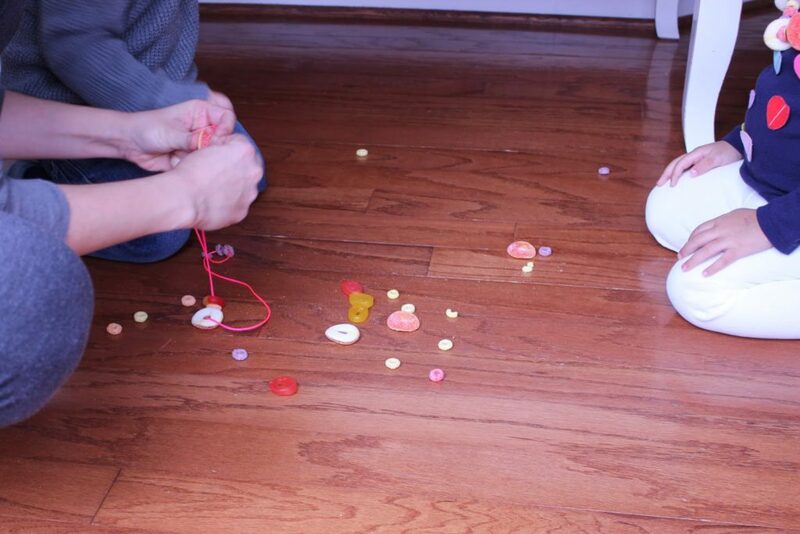 We found it was easiest to tape one end of the string to the table. 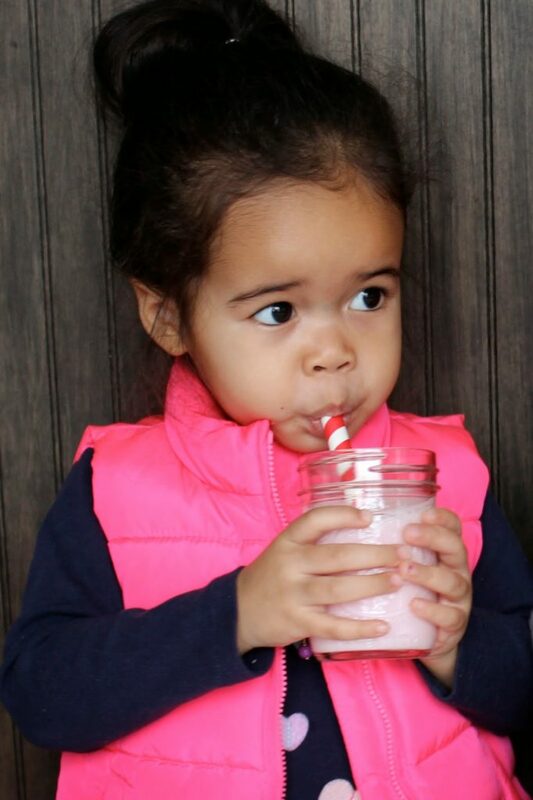 Take a much deserved strawberry milk break. SUCH a great idea! 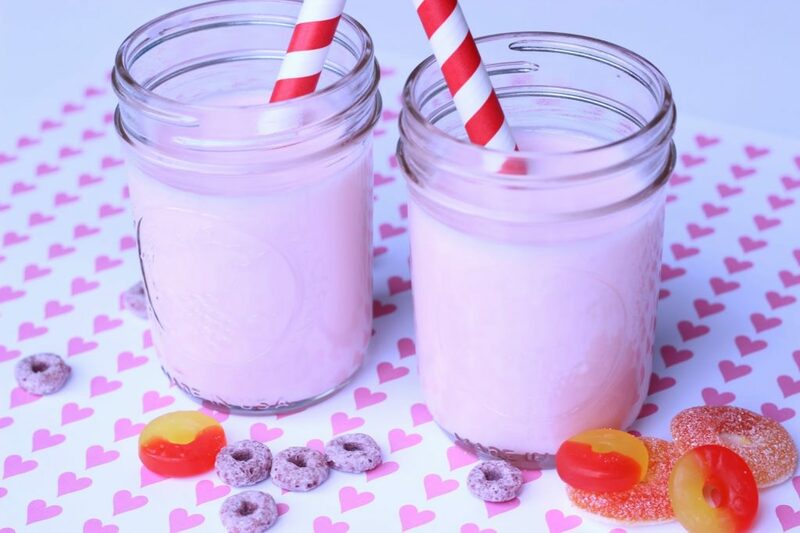 I want to make one for myself! 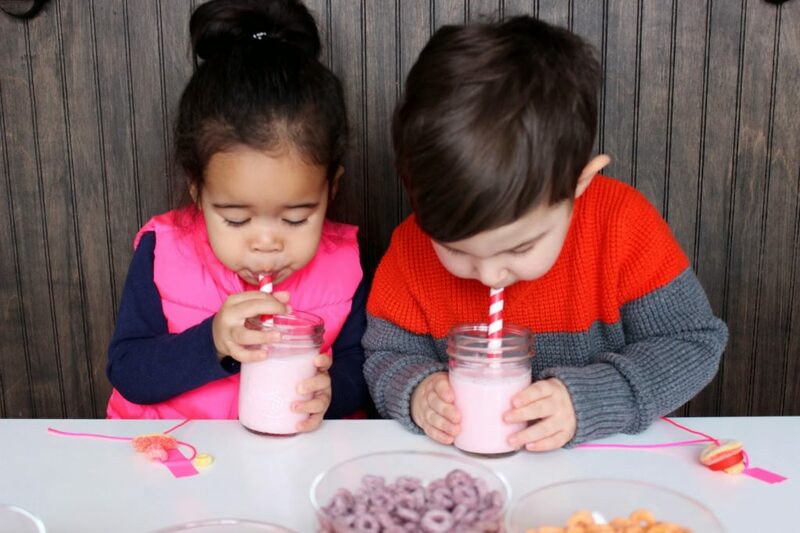 Ummm those two kiddos are ridiculously cute! 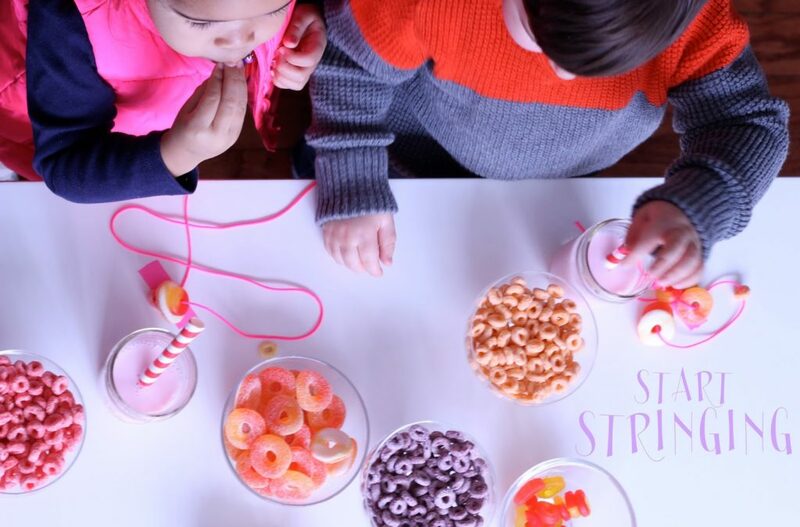 Also, way to work in the fine motor skills you crafty little moms!